If you are interested in installing a nest box with the intention of helping kestrels, you've come to the right place! 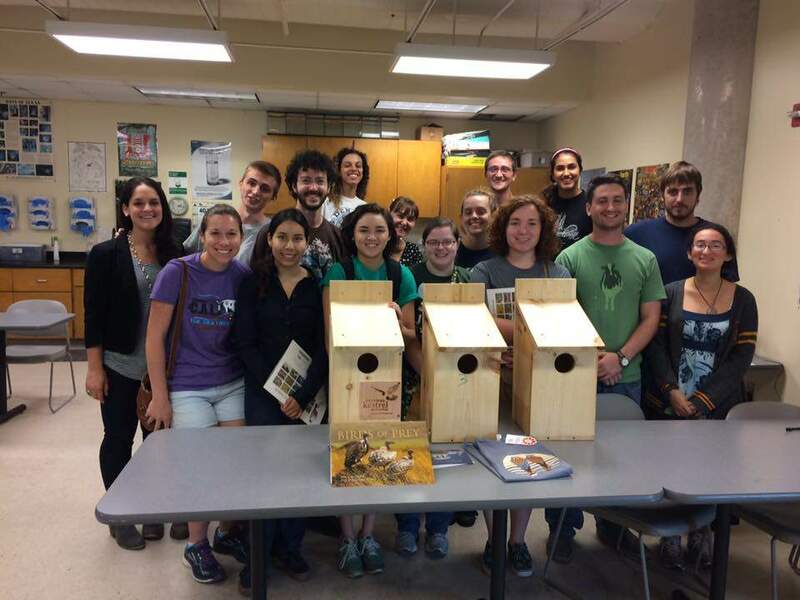 Research shows that nest boxes aren't a golden ticket to American Kestrel conservation. 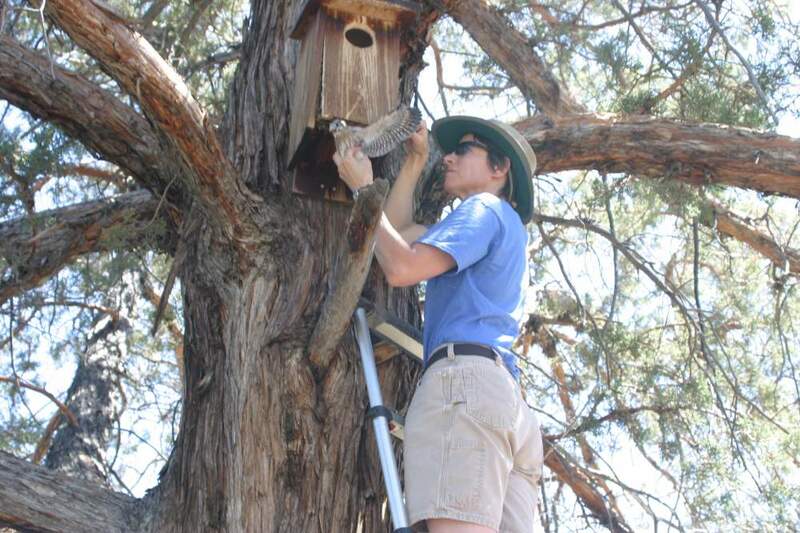 That is, installing nesting boxes isn’t necessarily going to help declining populations if their decline is caused by something other than nest site limitation. 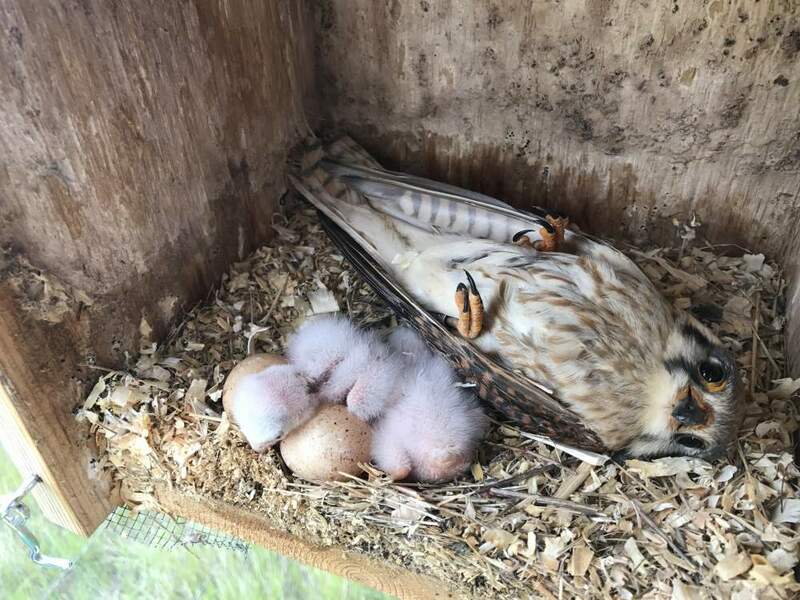 However, since the cause of kestrel decline is still unknown, data from nest monitoring programs are extremely valuable to helping us uncover the mysterious cause(s) of these declines. Once we understand the causes, we will be able to make management recommendations that do help kestrels! 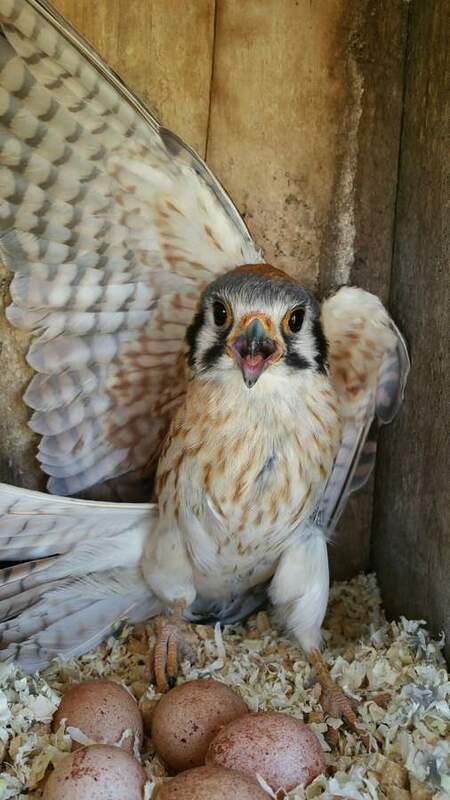 We’ve included information, protocols, and data sheets below to ensure that your efforts will help the kestrel cause! Once you are registered as an AKP partner, you will be able to enter your Nest Record and Observation Data into AKP’s centralized database. Monitoring and inputting your data consistently – even when kestrels don't use your box – is critical. 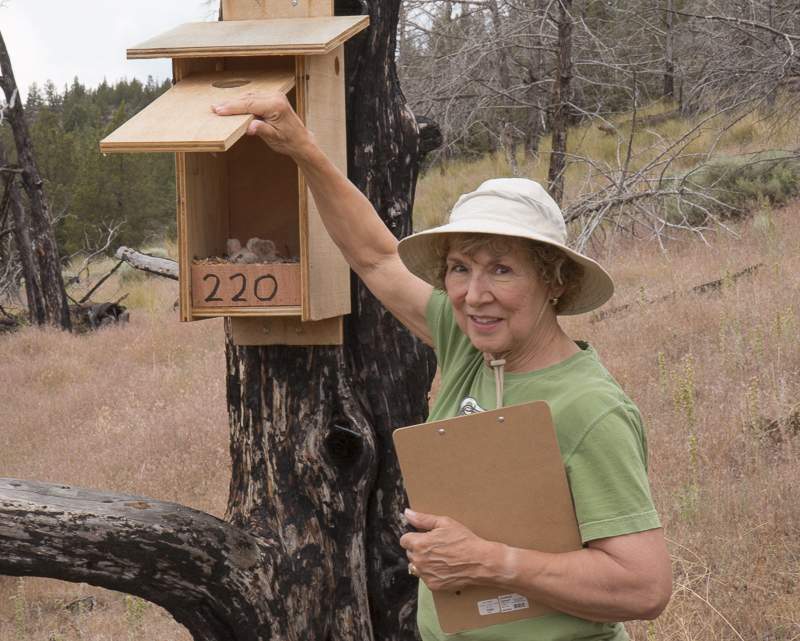 Regularly monitored boxes give researchers valuable information regarding kestrel biology, phenology, and reproductive activity. Unfortunately, unwanted guests (like invasive starlings!) can move in and kick the kestrels out. Additionally, poorly place boxes (for example, those placed by loud, busy roads) can cause females to abandon their nest. 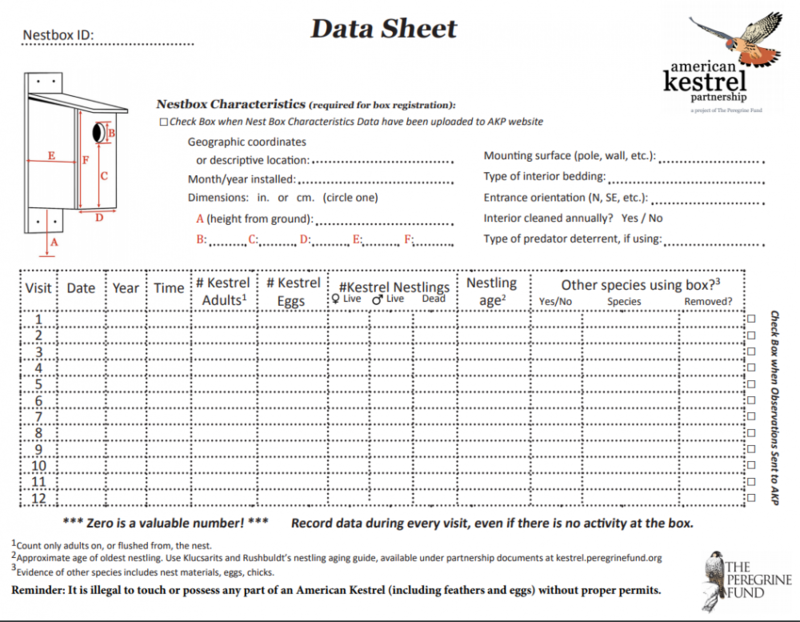 Regular monitoring and maintenance of your boxes enables you to remove starlings (if you wish) and collect data on the reproductive success of the kestrels nesting in your box. If you find that your box results in repeated nest failures, you may consider relocating it! Importantly, monitoring your box according to AKP’s basic protocols and reporting your data ensures that your time, energy, and resources become useful to local, regional, and continental scale research questions. Because American Kestrels don't create their own nests, they will choose a variety of cavity types. This includes barn and roof crevices, old woodpecker cavities, and constructed nest boxes. American Kestrels will readily use boxes for breeding during spring and even roosting during winter. For backyard boxes, supervise dogs during the kestrel breeding season and keep cats indoors always. Add fresh bedding (1-3 inches of non-toxic wood shavings) to prevent the eggs from rolling. Replace the bedding and clean the nest box out in the Fall. As soon as your box is installed, enter your nest record data (location, dimensions, etc.) into the AKP’s centralized database. The links below take you to box building plans as well as options for purchasing pre-made boxes. We’ve also provided a template letter that partners can complete and request material donations from local hardware stores. Kestrels are wide-ranging and will nest in many ecosystems ranging from high mountain valleys to southeastern coastal plain savannas. If you want to put up a box but still aren't sure where to begin, you may have luck by contacting someone locally who is knowledgeable about birds that may be able to tell you where they've seen kestrels locally. You could also check eBird's species maps for American Kestrels in your area to identify local sightings. Many of our partners find that once they install boxes and monitor them for a few breeding seasons, they become the local experts and can better identify where kestrels will nest in that area. Sponser a box in the Treasure Valley! AKP’s preferred protocol is for partners to check the contents of their box once every other week beginning in late winter/early spring (in North America, monitoring should begin in early March for most locations). 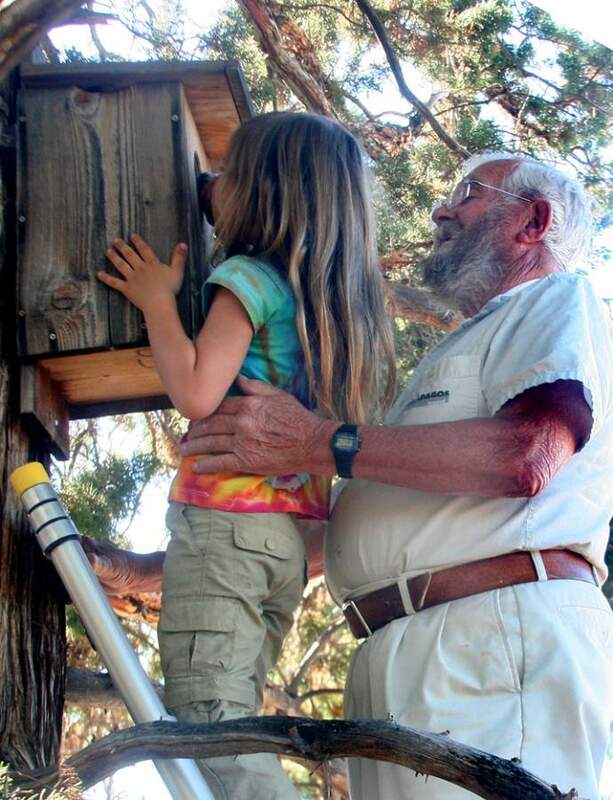 Alternatively, and at minimum, monitor once there are eggs, and then check again within 30 days for nestlings. Do not monitor more than once a week to avoid stressing the kestrels. Record what you see inside the nest on our data entry forms. It is helpful, but not required, if partners estimate the age of nestlings using the aging guide below. Then, input your data into the AKP’s centralized database. Monitoring and inputting your data consistently – even when there is no nest activity – is critical. See our Entering Your Data page for information on how to log in and enter your nest record and observation data into the AKP database. 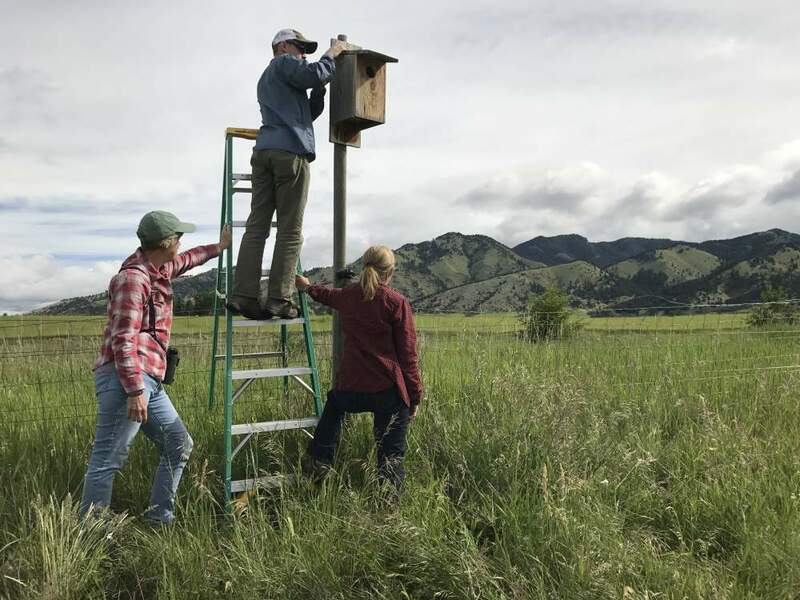 See our Other Tips and Tricks page for information on team management tools, sharing large datasets, designs for building your own pole camera, and other useful information for monitoring American Kestrels. Do you have other questions? The Partnership community's experience and expertise is one of the fundamental purposes of the Partner Network, so join the conversations today!